Come join us for a low key, Taiwanese breakfast! James Chuck will be sharing with us a framework for the Bible and Christian theology. 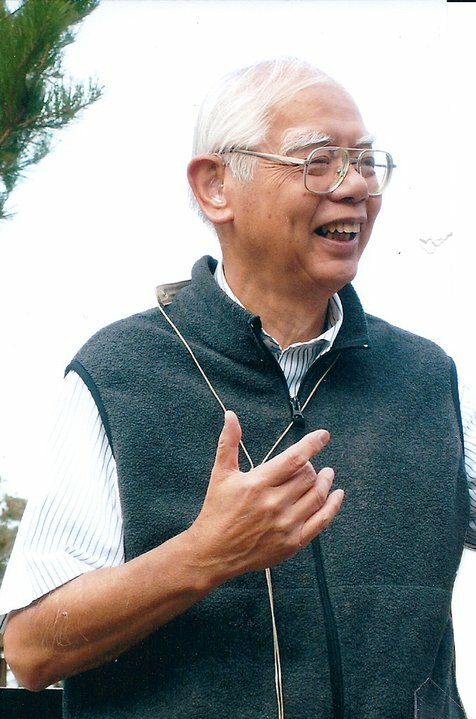 A trailblazer in English ministries and a mentor to many of us at ISAAC, James was pastor at SF Chinatown’s First Chinese Baptist for forty years and is Professor Emeritus of Theology at American Baptist Seminary of the West. How to read Genesis 1- 11; constructing an Old Testament timeline with Abraham, Moves, David, and Ezra as pivotal figures; the prophetic movement; the psalms and wisdom literature; the formation of the Old Testament canon; and the relevance of the Old Testament to Christian life and mission. The New Testament world; the four Gospels; the growth of the early church; the Pauline Epistles; Hebrews and the General Letters; the Revelation of John; the development of the New Testament canon; the New Testament in Christian life and mission. The nature of the theological enterprise; the meaning of revelation; the Triune God; God and the presence of evil; humanity as creature, sinner, and new being in Christ; the person and work of Jesus Christ; the life and mission of the church; Christian faith in the context of world religions; and the Christian hope. Dr. Chuck has taught in seminary but can speak helpfully to lay persons… he has a relaxed style of presentation, a sense of humor, and great rapport with the audience. Dr. Chuck is a rare teacher who possesses the combination of knowledge, experience, and wisdom. In three sessions, he told the story, both historically and theologically, of how Christianity developed into what it is today. I recommend Dr. Chuck’s series highly to all who are seeking to improve their knowledge of the fundamentals. Dr. Chuck did a great job with the Overview presentations. He promotes a non-threatening informal environment which is conducive to learning and fellowship. He knows his subject matter and can condense complex theological concepts to that they can be understood, and he is able to tailor the presentations to fit his audience. The sessions outlined in broad strokes the major events documented in the Bible, and raises thought provoking questions that an individual needs to wrestle with in his or her spiritual journey. Our church people enjoyed the presentations, the informal fellowship, and the singing.